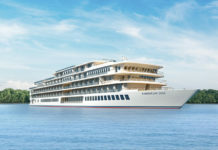 Tauck has revealed details of its first-ever Douro River cruises, which are slated to launch in 2020 aboard a new ship, the ms Andorinha. 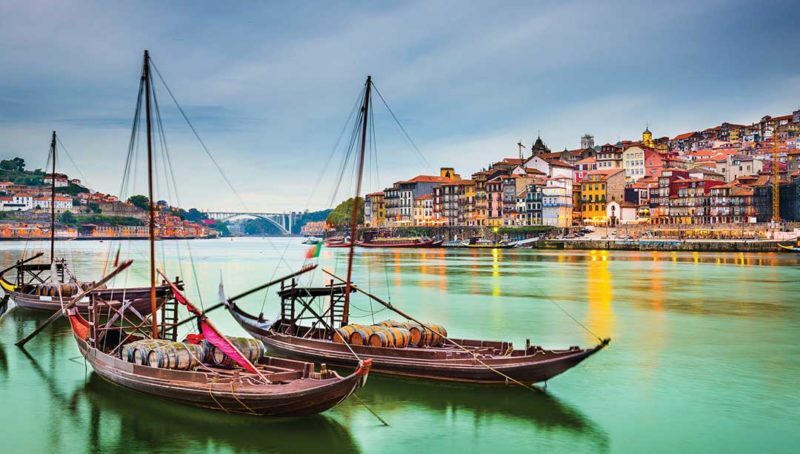 The three new cruises will include the travel industry’s first-ever family river cruise on the Douro, Douro Discovery: A Family River Cruise in Portugal, and two adult cruises— the 8-day, cruise-only Villages & Vintages: Cruising the Douro River Valley and the 12-day Exploring the Douro, Plus Lisbon & Madrid itinerary. The latter itinerary combines a 7-night Douro cruise with a 2-night, pre-cruise hotel stay in Lisbon and a 2-night, post-cruise hotel stay in Madrid, both with Tauck sightseeing tours and other activities included. The 8-day Douro Discovery: A Family River Cruise in Portugal begins with a 2-night stay in Lisbon, where activities include a tour, reception and welcome dinner inside the 18th century National Palace of Queluz; a tram ride through the bohemian Bairro Alto enclave; and a guided walking tour of the city’s Alfama neighborhood. The following day, families will head on a walking tour of the medieval city of Coimbra before traveling to Porto to embark on the ms Andorinha. The next five days will be spent cruising on the Douro, highlights of the sailing portion of the trip include guided sightseeing in Porto, a visit to the Museo do Douro in Peso da Regua, and a walking tour in the village of Pinhao. Guests will also have a choice of a hiking through hilltop vineyards in Pinhao, or a kayaking excursion on the Douro. And while in Giumaraes, they’ll have the option to participate in a cycling excursion. Rates for this itinerary start at $4,290 pp. 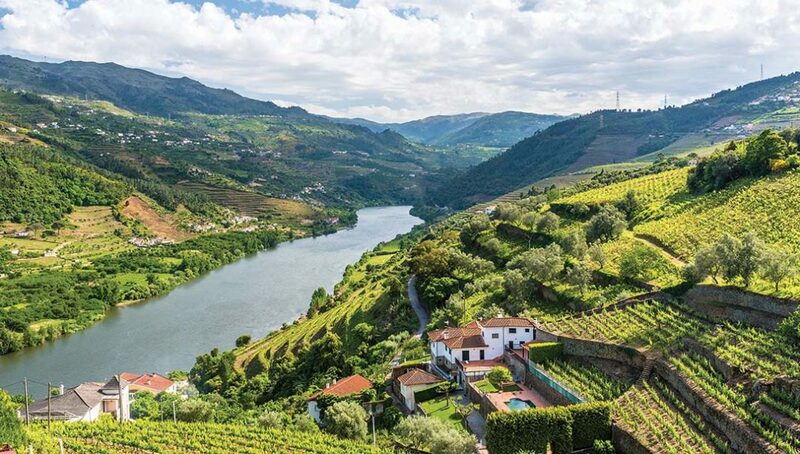 Tauck’s 8-day, cruise-only itinerary Villages & Vintages: Cruising the Douro River Valley begins with a choice of walking tours in Porto that explore either the town’s historic center or its Ribeira riverfront district. The following days are highlighted by a private dinner with wine pairings at the family-run wine estate Quinta do Portal, exploring the medieval town of Guimaraes, and visiting a port wine “cave” in Vila Nova de Gaia for a tour and tasting. Other days offer guests a choice of excursions such as a port cocktail-making workshop, a visit to the medieval hilltop village of Castelo Rodrigo, a tour of the Museu do Coa to explore the region’s Paleolithic history, or a cycling excursion through the Vinho Verde wine region. Fares for this itinerary start at $4,190 pp. Like Tauck’s family-focused itinerary, the 12-day Exploring the Douro, Plus Lisbon & Madrid also begins with a 2-night stay in Lisbon before embarking on a cruising adventure that combines highlights from both 8-day itineraries before guests disembark and head to Salamanca for a walking tour. They’ll then continue on to Madrid for a 2-night stay, where guests will be treated to a full day of sightseeing, highlighted by a visit to the Royal Palace. Rates for this itinerary start at $6,490 pp. For more information, visit tauck.com, and also be sure to check out Tauck’s exclusive single-departure events for 2019.